International Ratings organisation Fitch says that additional strain will be placed on Zambia’s (‘B+’/Negative/’B’) government finances and its relatively strong governance undermined if the Registrar of Societies’ decision to de-register the country’s official opposition party is not overturned by the courts. 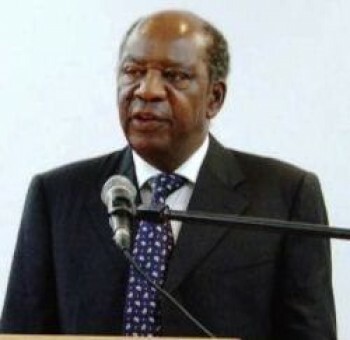 In Fitch’s view, it is too early to tell if this is simply the actions of an over-zealous official, or whether the decision was politically motivated, with negative consequences for democracy and governance, factors which Fitch has traditionally regarded as amongst Zambia’s rating strengths. However, the agency’s revision of Zambia’s Outlook to Negative on 1 March 2012 reflected Fitch’s concerns about some of the government’s early actions and announcements, which have brought into question the direction of government policy. This latest development only increases the agency’s concerns over policy direction and governance quality. However, even if the decision is overturned by the courts, Fitch highlights again the risks associated with sending a negative message on matters relating to economic policy, property rights and respect for the rule of law. This is particularly the case in a year that the government will seek to raise USD500m from international capital markets in a debut eurobond. If the decision to de-register the MMD is upheld and by-elections are called, there will also be adverse fiscal consequences. Holding elections will put unnecessary strain on the budget or divert funds from much-needed capital spending. Furthermore, if donors believe governance is deteriorating, they could decide to suspend aid, which makes up 7% of government revenue. This has been a response to similar events in other aid recipients in Africa and elsewhere in the past. It also risks sparking political instability, particularly given the support the MMD still garners in rural areas. Fitch will continue to monitor this issue closely, and the government’s actions and policy announcements more generally over the coming months. Evidence that the fiscal position is being damaged and growth eroded through a weaker investment environment would have negative implications for the rating.